Researchers at Capgemini surveyed 1,000 organisations which have deployed AI-based systems and found that four out of five of them have created more jobs. Additionally, two thirds of respondents said there have been no reduction in overall jobs due to AI. Of course, it’s very early days – the AI that even leading-edge businesses are using today is likely to look pretty stupid compared to the technology which will be available in five years’ time. But all the signs are that those predicting the first wave of machine learning applications will be used to augment existing human workforces, rather than make them redundant, are so far on the money. Other findings of the report are that AI is already having a significant bottom-line impact – three quarters of respondents were able to attribute a 10% or greater rise in sales as a result of their AI deployment. Customer services is the area where most see it having a significant impact – with 73% saying they believe they can use it to increase customer satisfaction. He went on to highlight the importance of “reskilling” as key to unlocking the power of transformative AI technology within an organisation. “71% of organisations have proactively initiated reskilling employees with new skills to deal with the impact of AI”, he told me. One of the survey respondents was UK-based insurance giant Prudential. Michael Natusch, their global head of AI, told me how AI is now considered a core business element. “Instead of looking for ways to replace humans with AI, we are seeking the most fruitful complements,” he said. This includes robotic call centre assistants. “Clearly, nobody wants to talk to a robot,” says Natusch. One AI initiative involves flagging up customers who could be labelled as vulnerable people, and therefore in need of additional assistance. Another involves research into handwriting recognition which will be used to further automate aspects of underwriting and claims processing. Other statistics showing that AI is currently creating jobs, rather than destroying them, comes from jobs website Indeed, which recently announced that there has been a five-fold increase in the number of AI jobs advertised in the UK, in the past three years. However Indeed’s research also found that demand for data scientists and artificial intelligence experts outstripped supply, with 2.3 vacancies per qualified candidate. This is despite the average salary for machine learning engineering jobs reaching £54,386 ($71,744) – close to twice the UK average salary. Indeed economist, Mariano Mamertino, said “Employers in every sector are keen to utilise artificial intelligence and need workers with the right skills to fill these roles. “Our data shows that competition for this shallow pool of candidates is fierce, with the numbers of available roles outstripping potential new hires. This serves as a hugely interesting snapshot of the how the AI revolution is unfolding right now. 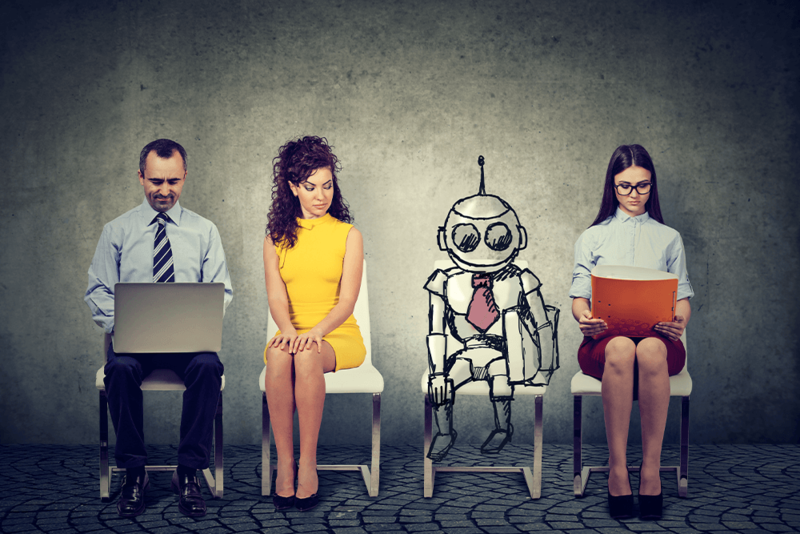 While things may be very different in the (not so distant) future, currently the need to hire people with the abilities and aptitude to work alongside intelligent machines is driving job growth upwards, rather than downwards.